Even though Guzziology gives a complete run-down for this mod, here are some pictures that will make the process a bit more clear. (A) Plug threaded hole from pre-filter main bearing housing with red Lock-tighted aluminum bolt. (B) Drill 10mm (3/8th inch) hole through existing boss at bottom of case. 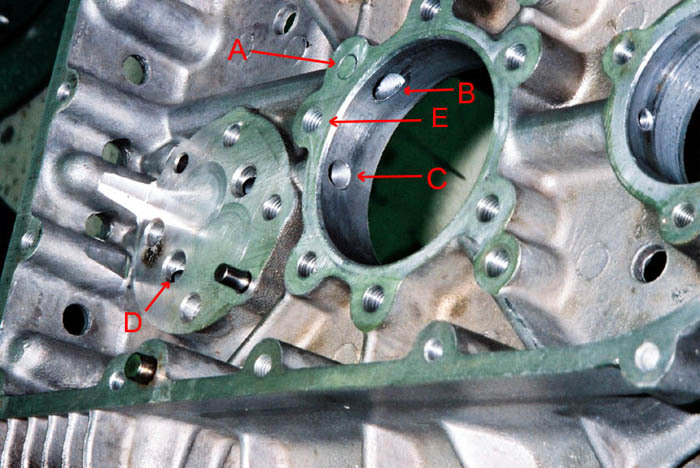 (C) Existing main bearing hole is blanked off by new filter-type main bearing housing. 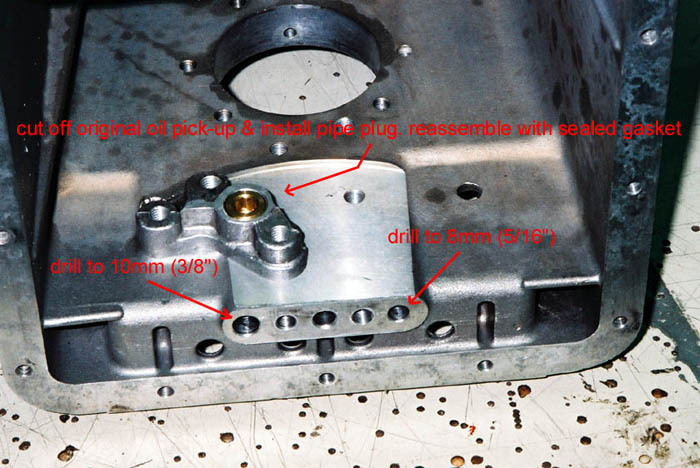 (D) Drill 8mm (5/16th inch) hole through existing boss at bottom of case. (E) Using new filter-style main bearing housing as a guide, drill & tap 8mm relocated mount hole.